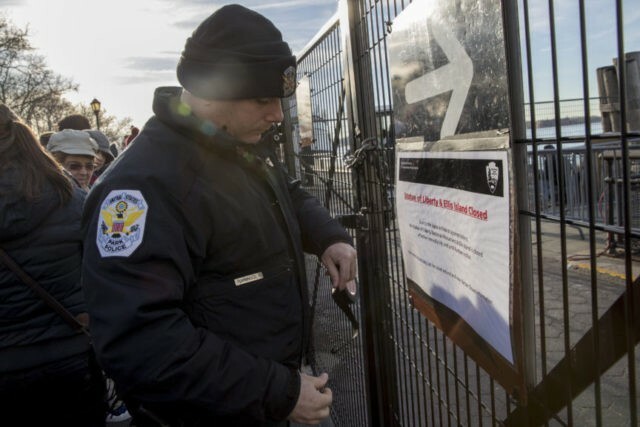 WASHINGTON (AP) — The Trump administration’s pledge to minimize the impact of a government shutdown faces an early test as a number of iconic American landmarks announce they will be closed. The Statue of Liberty and Ellis Island, symbols of American promise, were shuttered Saturday due to what the National Park Service describes as “a lapse in appropriations.” That’s a bureaucratic term for a lack of money. The New York sites are two of the world’s top tourist destinations. In Philadelphia, crowds of tourists can’t get into see the Liberty Bell or Independence Hall, where the Declaration of Independence and Constitution were signed. Congressional Republicans and Democrats appear no closer to settling their differences over immigration policy and striking an agreement to fund the government.